Vietnam Industrial Investments Limited is based in Perth, Western Australia and publicly listed on the Australian Securities Exchange (ASX code: VII). The primary activities of the Company are investments in Vietnam, the commercial operations at its two steel rolling mills in Hai Phong, steel roofing factory in Hanoi, and supplying engineering/construction services in Vietnam. The share price of the Company is available from the Australian Securities Exchange. 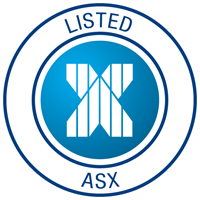 For information on Australian Securities Exchange go to the ASX website www.asx.com.au. For the latest Dividend Information, visit the reports section of the site. Vietnam Industrial Investments Limited is a Perth, Western Australian based, publicly listed Company with investments in Vietnam, and commercial operations in two steel rolling mills in Hai Phong, steel roofing factory in Hanoi and supplying engineering/construction services in Vietnam.